Amazon Echo... Live. Live Original Programming. Streaming music is great. Live streaming music with a real disc jockey... is even better. I've been streaming music for years, but there's something special about live radio that can never be captured by automated playlists. Live programming is what's missing from Amazon Prime too... something that transforms the audience into a genuine community, who are all sharing the same experiences at the same time. I'm sure a lot of surveys and studies show that there is a definite trend away from live programming in favor of automated programming and on-demand services, but deep down there is still a huge demand for live programming. 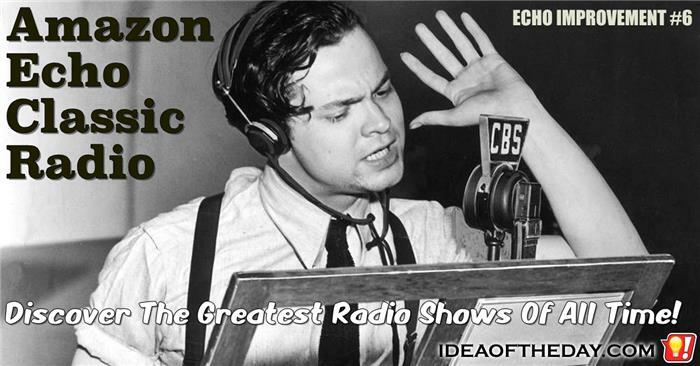 Without live programming, Disc Jockeys, and talk show hosts like Howard Stern, Sirius and XM radio never would've caught on. 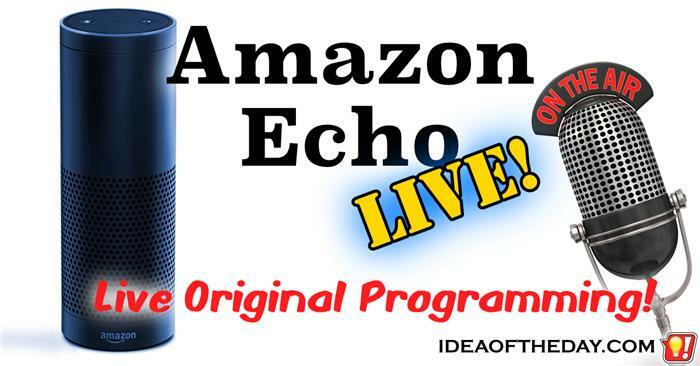 The Amazon Echo should be able to play podcasts. 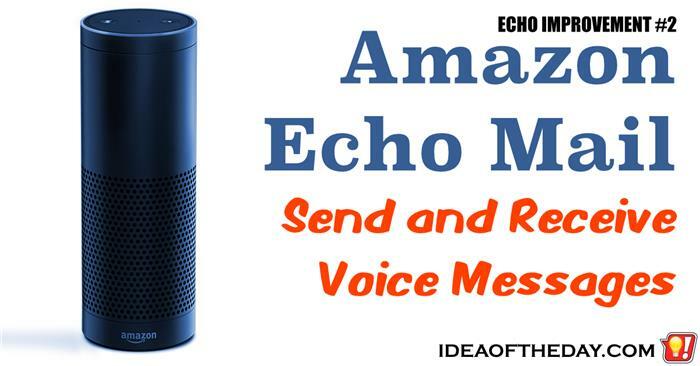 Today's idea is my fifth Amazon Echo improvement idea, and it's is a no-brainer. When I think of things that are perfectly suited for an audio-only device, the first thing that comes to mind is podcasting. 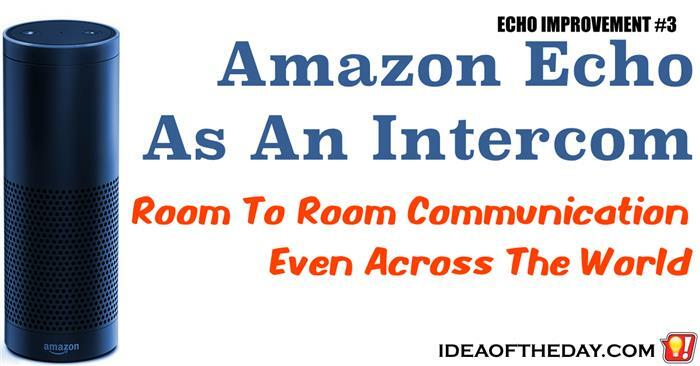 A podcasting option is easy for Amazon to implement. All they need is a way to subscribe to a podcast with the App or using the Amazon Music website. This should take seconds. 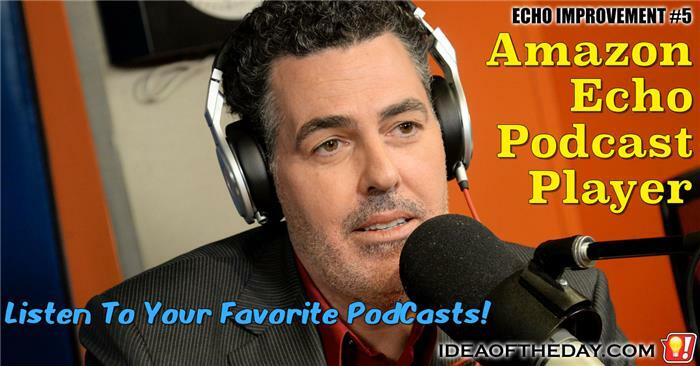 Once you've subscribed, all you would need to do is say "Alexa play the most recent Adam Carolla podcast". That's it. All your favorite podcasts should be just as easy to access as your Prime Playlists or other music stored in your Amazon Music collection. Amazon Echo Should Actually... ECHO. Get Answers In Your Own Voice. 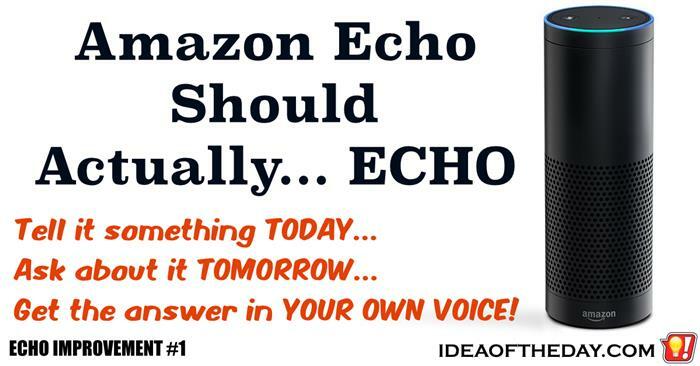 You can ask the Amazon Echo just about anything, and it gets the answer from the cloud. But what if you wanted to ask it something a bit more personal? I love the concept behind the Amazon Echo. 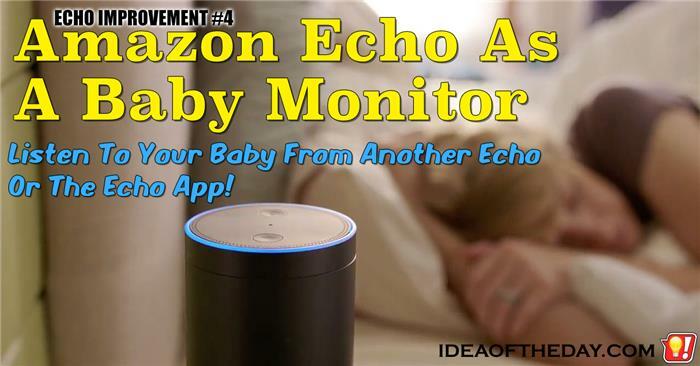 Among other things, it's a wireless speaker, a personal assistant, and an Internet search engine, but I think it can do a lot more. Since it has several high quality microphones, it stands to reason that those microphones should be able to capture your own voice, and play it back later, like a voice recorder, only better.